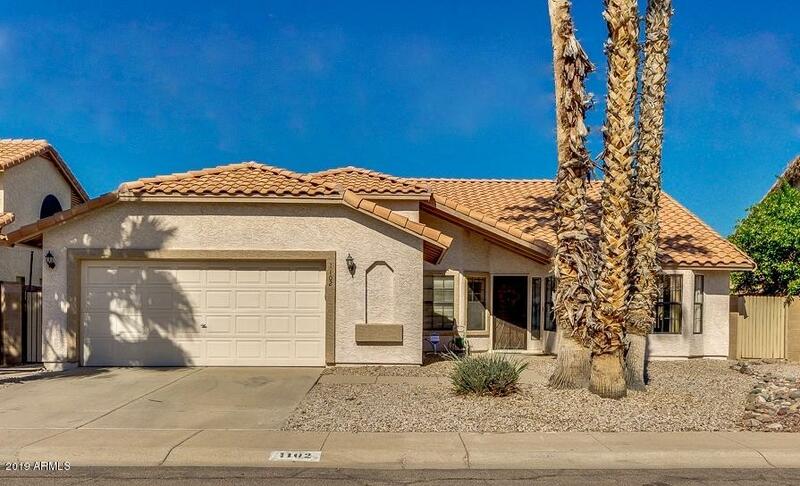 All VAL VISTA PARK LOT 1-231 homes currently listed for sale in Gilbert as of 04/22/2019 are shown below. You can change the search criteria at any time by pressing the 'Change Search' button below. "Beautiful formal living & dining room with charming bay window. Soaring vaulted ceilings, cozy family room, and custom paint finishes. Open kitchen includes granite counters, new FingerPrint Resistant Black stainless appliances, kitchen island for prep, breakfast and conversation. Adorable master suite with private exit to patio, walk-in closet, oversize recessed garden tub with double sinks. Enjoy your backyard with new artificial turf, refreshing play pool with new plaster interior. perfectly "